Android devices are used to perform the range of tasks which affects device speed and performance negatively over time. If you have noticed the performance issues and slow speed on your device due to cluttered and unorganized data, it’s time to clean it up. Your device speed may also affect due to various other reasons like hardware or software issues etc. To deal with it, you can perform a thorough research of your device to find solutions to boost your device performance. Let’s discuss some tips here to help you with this. ==>1. Disable Bloatware: Bloatware includes all those apps and programs which come pre-installed on your device from the manufacturer. These apps and programs can be manufacturer based or third-party based programs. Most of these apps include those tools which you don’t use or don’t intend to use in future thus they prove to be space-hogging only. These apps affect your device speed and performance negatively as they not only occupy precious storage space but these apps run in the background as well. Unfortunately, you need to root your device (which has its own limitations) to get rid of this bloatware on your device. Alternatively, you can “Disable” them so that they can’t update themselves, run in the background or appear in your app drawer. To disable bloatware on your device, go to Settings > Application Manager > All Apps > Select the app you want to disable and click on “Disable” or “Uninstall” button. ==>2. Use technology: Using technology to keep your device intact is another good way to boost speed and performance of your Android device. You can use various apps like Android cleaning apps, duplicate file remover apps, battery saver apps etc. to get better and instant results. These effective tools help you clean your device and improve its performance effortlessly. ==>3. Clean your App cache: Apps on your device generate cache files regularly and these files accumulate in large numbers over time. These cache files when accumulated in large numbers starts creating problems for your device speed and performance. Thus it’s better to remove all these files to recover some storage space and boost device performance. To do this go to Settings > Storage > cached data and hit OK to delete the cached data. Alternatively, you can delete cache files of individual apps by heading to Settings > Application Manager > All and select the app to clear cache data. ==>4. Update your device: Android keeps on sending you latest firmware updates on regular intervals. These updates include some important improvements to each new release of the Android operating system. These updates ensure higher performance, better stability of device functions, better speed & connectivity, bug fixes and lot more. Thus you should respond to every system update notification. You can also check available updates by heading to Settings > About device > Software Update > Update. ==>5. Use High-speed memory card: When you add storage space to your device in the form of memory card it helps you improve your device speed and performance. Cluttered and unorganized data on your device affects device speed and performance negatively. Thus having additional storage space to manage data helps you declutter and organize your device storage space. You can add memory according to value it supports which generally varies in between 2GB to 32 GB to support high-speed read and write operations. You can select memory cards of Class 6 or Class 10 for better performance. You can follow these simple steps to speed up your device performance significantly. Following these simple steps altogether can show some prominent results and changes in your device. In fact, this way you can save a lot of your time and efforts as well. Summary: Android devices starts creating performance related issues due to prolonged used. 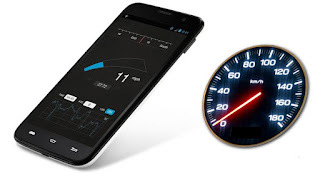 There are certain steps you can follow to boost your device speed and performance. Let’s discuss some of these steps here.